Stephen Morrill has been freelancing full-time since 1984. He continues to take on nonfiction assignments ranging from magazine articles to corporate work to grant writing. Editing: Steve has edited several print magazines and one online magazine. He was the founding editor of Know Tampa Bay, a 25,000-circulation quarterly relocation guide to the Tampa Bay area. More recently, Steve edited, Savvy Executive, a Tampa Bay business profile publication. In all, Steve has edited all of, or sections of, five magazines. For many years he was the online website editor for the American Society of Journalists and Authors. Reporting: For ten years he wrote a biweekly column about maritime trade for Florida Shipper magazine and he has written about maritime shipping for other trade publications. As a Reuters News Agency correspondent for the west coast of Florida, his writing was used by newspapers, radio and television around the world. Magazines: In addition to general-interest articles, Steve has written extensively about wine, humor, international shipping and trade, business and finance, architecture and the outdoors, and military affairs. He has written more than 1000 articles for national and local magazines and for newspapers. (Well, OK, with news items, probably closer to 3,000 but he stopped counting more than a decade ago.) Nationally, his work has appeared in such magazines as Horizon, World Wide Shipper, The Robb Report, Vista, The New York Times Magazine, and Business Age. In Florida his work has appeared in Changing Homes, Florida Business, Southern Homes, and in a variety of city and business magazines. Photography: Through his writing career, Steve has photographed many of his stories and, depending upon the subject, is able to provide complete text/photo packages. Teaching: For 18 years, (1998-2016) Steve managed WritersCollege.com, at one time the largest online writing school. He also taught five of the 50 courses. WritersCollege.com shut down in 2016 because the competition had caught up to it and Steve saw no further need for it. 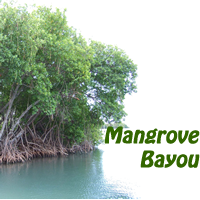 Mangrove Bayou: Police procedural mysteries set in a remote gulf coast Florida town. Cord MacIntosh: A private investigator series set in towns around Florida. Sorcet Chronicles: A fantasy series set on the world of Tessene. Awards: Steve has been honored by the Florida Magazine Association for his short humor and by the Florida Association of the American Institute of Architects for his writing about architecture. Memberships: Steve is a member of the American Society of Journalists and Authors (ASJA) and was the web site editor for five years. He was founding president of the Bay Area Professional Writers Guild, a select group of full-time professionals in the Tampa Bay Area. He was one of the charter members of the Tampa Writers Alliance, an organization for beginning writers, and for many years conducted their nonfiction training workshop. Nonfiction Books: In addition to his ongoing magazine assignments and private corporate work, Steve writes nonfiction books, among them City in the Sun, a History of St. Petersburg, Florida; Flying the Andes, a ghost-written account of Pan American-Grace Airways, (University of Tampa Press); Fearless, an account of the life of a famous newspaper cartoonist (Readers Digest Press); Fun with the Family: Florida (Globe Pequot Press); 100 Florida Freebies and Cheapies (e-book). He has written chapters in a number of military-related books. He wrote, photographed, laid out and supervised the production of A Guide to Historic Architectural Resources and Historic Preservation in Unincorporated Hillsborough County, a 128-page book commissioned by a local government. Web Sites: Steve manages a number of web sites for professional groups, businesses, and himself. 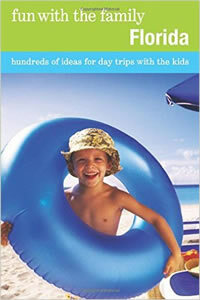 Slacking Off: Steve spends weekends sailing, canoeing or traveling around Florida. Because he lives in the Tampa Bay area, he can do this year-round. It's a tough life, but someone has to live it.